Years ago I had an unfinished furniture store in Pierre SD. This was an unfinished piece that we custom made for a customer. Originally it was a closet bureau so we built in some wine glass holders and extra shelves inside. 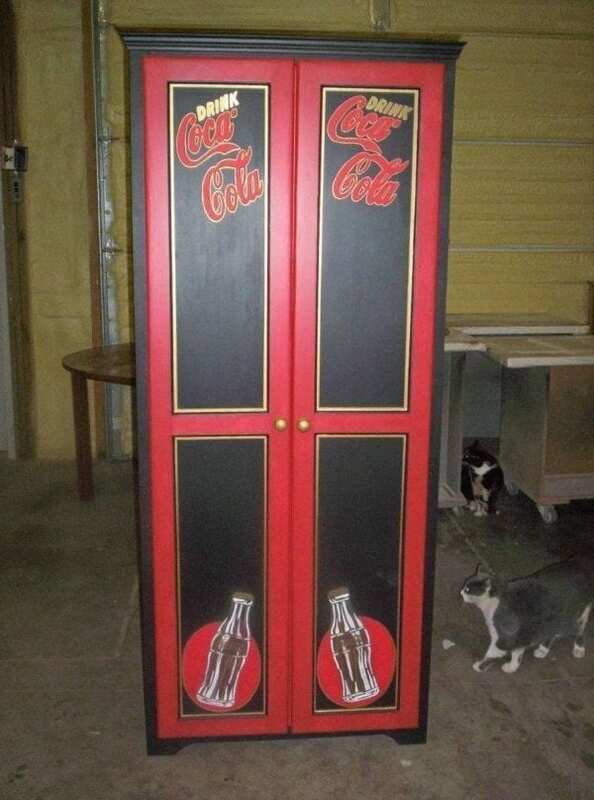 Then she loves to collect Coca Cola objects so we painted it with that theme for her.